Olivia Jakubowski, a senior graphic design major uses a pottery wheel to make a stein to be sold at Celebration on Saturday. “I like the unique shape,”Jakubowski said. 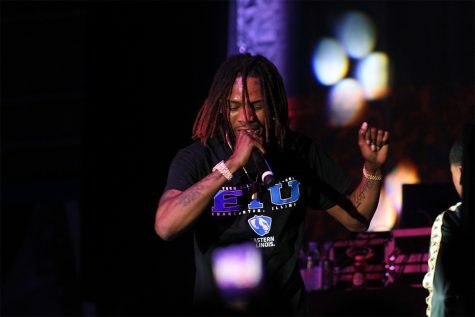 Celebration: A Festival of the Arts returned to Eastern after a two-year hiatus, filling campus with three days of festivities, featuring music, art and food on Friday, Saturday and Sunday. Numerous bands were featured throughout the festival, including the “Bon Odori Group” that performed music from different regions of Japan and “Red Ransom,” a Nashville based Rock group, while artists did demonstrations and sold clothes and artwork. Shannon Brinkmeyer-Johnson and Jessica Mertz put on a sand art demonstration for spectators, which involved creating designs with colorful sand using a cone on the floor of the Doudna Fine Arts Center. Brinkmeyer-Johnson said she was demonstrating sand art in hopes that people would take it upon themselves to do it on their own. She said she had been doing her art demonstration throughout most of Celebration and she is “stoked” that it is back in town. “From what I’ve heard, it’s exciting. People are having a great time and are jazzed it’s back,” Brinkmeyer-Johnson said. Mertz said she is excited Celebration is back in Charleston. “It was heartbreaking to miss it. We have a vibrant art community in Charleston so it’s great this is back,” she said. Natalee Reynolds, a freshman English major, walked around the greenhouse looking at the succulents inside the H.F. Thut Greenhouse, which was opened for Celebration. “The greenhouse is cool. I like looking at the different plants. It’s also interesting to see everyone’s art that was made,” Reynolds said. Tristan Schumann, a freshman philosophy major, said it was her first time attending Celebration and she had decided to go after hearing about it from her roommate. “It’s really cool and it reminds me of the fair in my hometown. I’m very nostalgic about it,” she said. 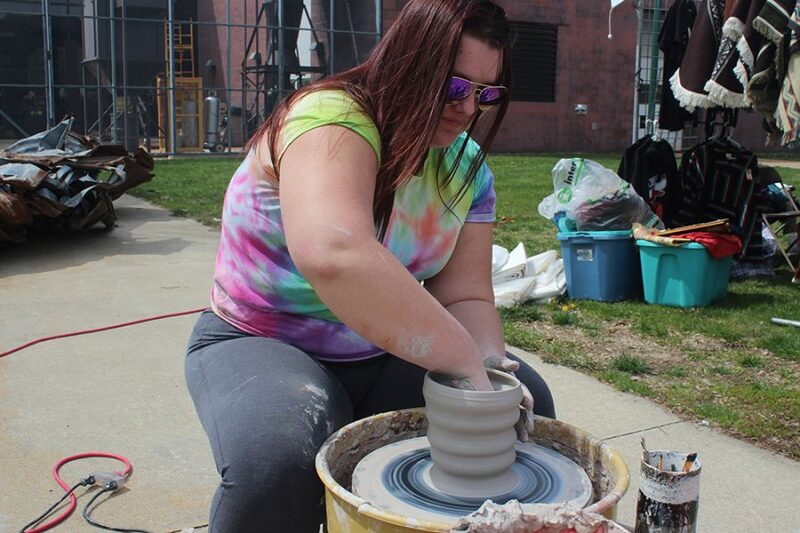 Olivia Jakubowski, a senior graphic design major, demonstrated her pottery-making skills at Celebration, which was sold along with other student art. “The last time they held Celebration I was a freshman and didn’t really know what was going on. I think this is a great opportunity to support your community and local artists,” Jakubowski said. Charleston High School students Lindsey Four and Gavin Zuniga walked their black lab Archie throughout the grounds, looking at the vendors. Zuniga said he is glad Celebration is back in town. “I liked watching the Japanese performance,” Zuniga said. Four said she had enjoyed coming to Celebration before the two-year break and was very happy it was back. “I liked all of the performances and the food is always good. I enjoyed seeing my old art teacher doing sand art in the Doudna,” said Four. Dan Crews, who has been the chair of the festival since 1993, said Celebration had been a good time this year. 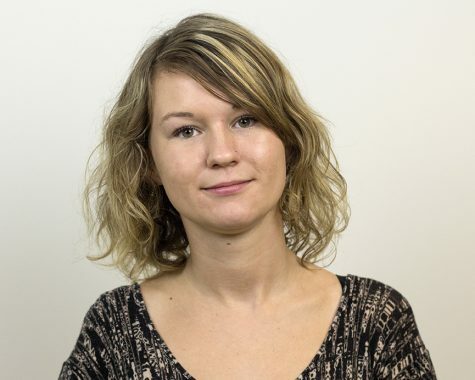 “We felt like with the budget impasse and Eastern having to let go of close to 300 employees it wasn’t an appropriate time to be having a celebration. With the state finally getting the budget we felt it was a good time to bring the festival back to the community. If you wait too long after something is canceled people tend to forget about it so we thought this was a good year to re-launch it and make it better,” Crews said. Crews said the festival was modeled after previous years with some new additions such as the Dachshund Dashes, which was a dachshund race. Crews said he thought the turnout for Celebration was good. “In my years at the university we haven’t had three days at the festival without some rain or snow but we’ve had three beautiful days,” Crews said. Olivia Swenson-Hultz can be reached at 581-2812 or [email protected].